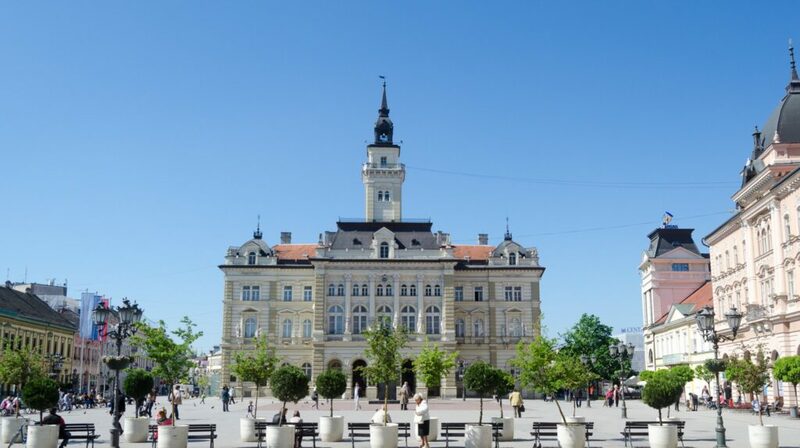 This monumental neo-renaissance building located in the city center on the square “Trg slobode” is a project of the famous architect Molnár György (1829-1899). It was built in 1895 and apparently is a copy of the City Hall in Graz. There were big disagreements over the location of the building before the construction started. Svetozar Miletic wanted to Serbian National Theatre be in the place where it is City Hall now, and that City Hall should be on the Hanski plot. But Catholics demanded that City Hall starts building right in front of the catholic church, on the main city square “Trg slobode”. Today City Hall represents the seat of city government and its administration.